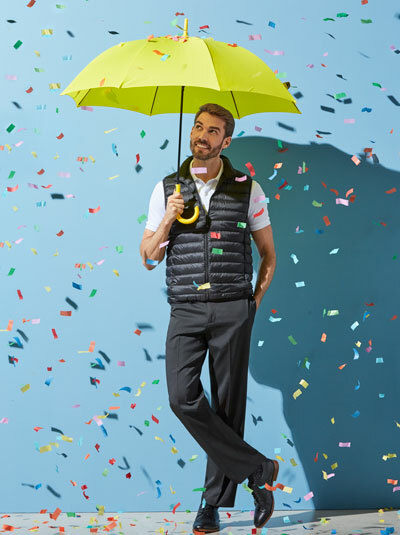 Savane® apparel is a leader in performance, technology and innovation with a full sportswear collection launch offering an array of styles, silhouettes and fabrications for every wearing occasion. From clean khakis to no iron grab-and-go dress pants, shirts and suit separates, men will be ready to get down to business with Savane, and Fit to Achieve™ whatever awaits when the workday is done. The Savane marketing strategy is resonating with our consumer. Our digital campaigns have seen incredible response rates and consumer interest. Building on this momentum and growing consumer outreach by adding ESPN magazine print ads, as well as retail-specific initiatives, 2014 promises to be a banner year for this lifestyle brand.